“Do Amish buy them?” I enquired. A lot of people read bonnet fiction. Three bonnet-romance writers—Beverly Lewis, Wanda Brunstetter and Cindy Woodsmall—are New York Times best-selling authors. 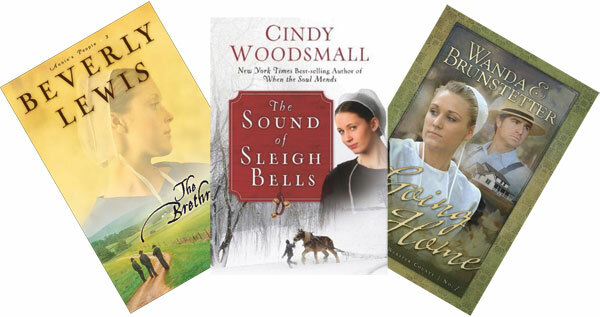 Ten of the top 25 Christian fiction books in 2009 were Amish romances, according to ChristianBooks.com, one of three major Christian book retailers. Jerry Eicher, a male author of Amish romance fiction who grew up in the Amish faith, is an exception. A part-time writer who runs a construction business in Virginia, Eicher’s website describes him as “an Amish insider.” His books include the “Adam’s County Trilogy” (known as the “Rebecca” series), set in southwestern Ohio, and the “Hannah” series, set in northern Indiana and Montana. The two writers of bonnet fiction who have been working in the genre the longest—and who have stayed almost entirely within it—genuinely view their writing as evangelistic outreach and include on their websites self-conscious statements about writing to strengthen Christian faith. “My greatest desire is to craft a truly inspirational story that spurs readers on to further heights of victorious Christian living and ministry for the glory of God,” writes Lewis. All Amish romance authors write out of, and to, a particular evangelical Christian subculture. This can lead to some odd depictions of Amish faith. Amish protagonists often agonize about finding God’s will for their lives. In many, Jesus comes to them personally through sign or vision. In Woodsmall’s The Hope of Refuge, when Cara is stranded during a late-night lightning storm and flood, she is saved by a vision of Jesus. In Lewis’s series, “Amish Country Crossroads,” Rachel surrenders her will at the cross of Jesus. 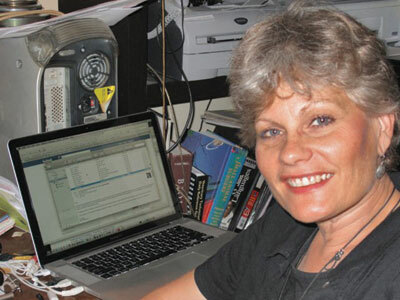 According to reporter Ann Rodgers, who studied Amish fiction for a 2009 story in the Pittsburgh, Pa., Post Gazette, the biggest criticism noted by her sources was that characters in these novels think and talk too much like standard evangelicals, whose understanding of God’s will tends to be individualistic, rather than communal. Regardless, virtually all of these writers appeal to a level of authenticity to legitimize their depictions of Amish life, which may or may not be completely accurate. To be fair, many of these writers do try, in fact, to get their facts right in relation to the Amish characters they are depicting. 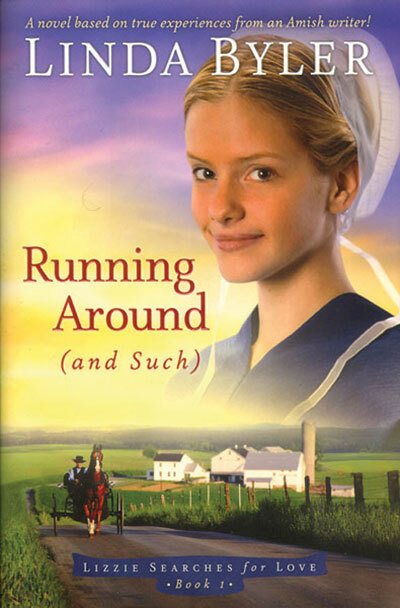 Moreover, as Lewis once pointed out in conversation about the subplot of her series, “The Courtship of Nellie Fisher,” which includes the unlikely scenario of an Amish family giving their new baby to an infertile Amish couple, what could happen—and thus make a good story—is different from what has or has not actually happened in an Amish community. Her first book, Lizzie, was published in 2003. Byler has authored and self-published seven books in her “Buggy Spoke” series, loosely based on her childhood from age five to her early married life. Interestingly, Byler’s writing may challenge some of the stereotypical, better-behaved Amish heroines that populate the books of other Amish romance writers and that readers may have been conditioned to expect. That the actual character in an Amish memoir is seen as so different from standard portrayals of Amish protagonists suggests some of the stereotypic and exaggerated themes in much Amish romance fiction. 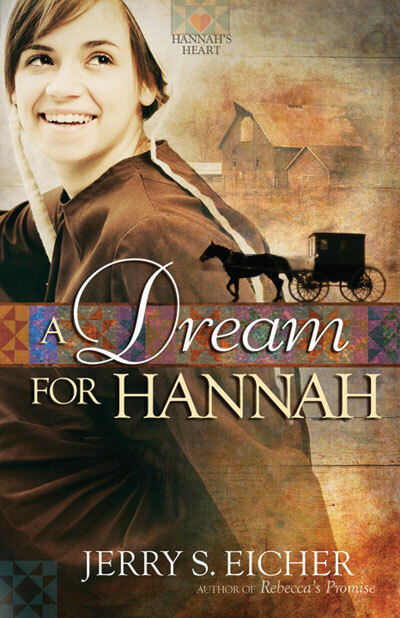 Plotlines may include a preoccupation with personal salvation or heartfelt piety (often hidden) of the Amish heroine, which, if known, could create problems for her in the more staid Amish community. But in some plots this actually leads to a softening of the stern bishop’s heart. 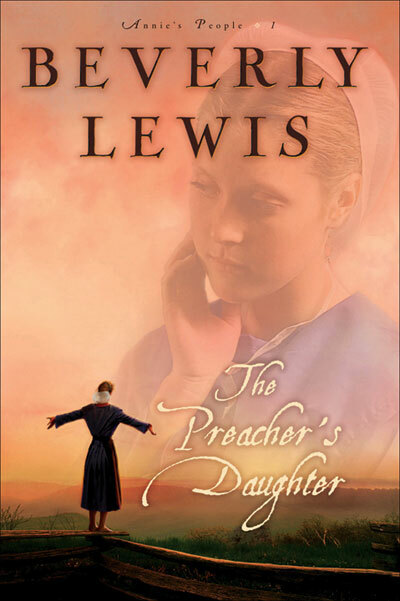 In some books—Lewis’s “Annie’s People” series and Woodsmall’s “Sisters of the Quilt” series, for example—this tension is resolved by having the main character be helped by, or marry, a conservative Mennonite, whose faith is portrayed as more evangelically minded than that of the Amish. Also in keeping with readers’ expectations, farming is the main livelihood for the Amish in most books’ peaceful rural settings, although that does not reflect current Amish reality in many of North America’s biggest settlements. Outsiders becoming Amish. This is an extremely rare phenomenon, according to researcher Stephen Scott of the Young Center for Anabaptist and Pietist Studies at Elizabethtown College, Pa. Serious impediments, such as learning the Pennsylvania German dialect and giving up technology, are glossed over in these stories by the outsider’s love for an Amish protagonist or attraction to the bucolic rural life. Tragic accidents. 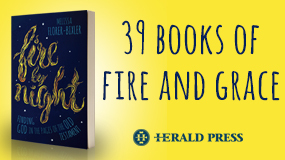 These can be buggy accidents (A Merry Heart by Brunstetter and The Crossing by Lewis), fires (Forgiven by Shelley Shepard Gray), or accidental drowning (The Parting by Lewis), to name a few. Fathers, husbands and boyfriends often die tragically; their widows, fiancées or girlfriends are always young, beautiful and certain they can never find love again. Abandonment also occurs in these books, in which case the cheating spouse ultimately dies tragically, in order to sidestep the problem of divorce for the remaining spouse. Adoption. This often happens in secret and is revealed later in life. 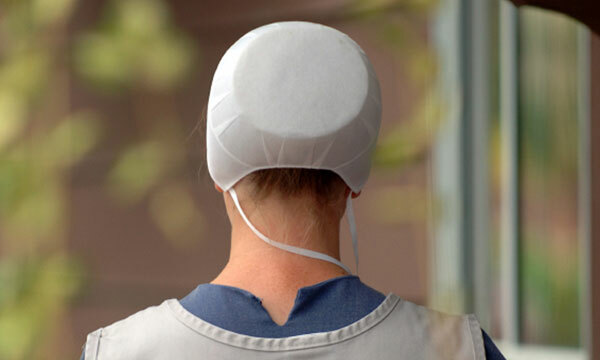 In Lewis’s The Shunning, a baby is adopted and raised by an Amish couple; as an adult who leaves the community, she comes to understand why she “never felt Amish,” and “always loved fancy things.” In Bishop’s Daughter and Storekeeper’s Daughter, both by Brunstetter, a kidnapped Amish baby is inextricably drawn back to the Amish community as an adult and discovers his true roots. The excesses of Amish rumspringe—the indiscretions during the Amish adolescent “running-around” period. In Lewis’s “Abram’s Daughters” series, not one but two characters have rumspringes in which they get pregnant by “English” boyfriends, hide their condition from everyone in the family, secretly give birth out of wedlock, and have the babies adopted by other Amish families. In Marta Perry’s Anna’s Return, the protagonist returns with a baby born out of wedlock during her rumspringe, which is almost unheard of among the Amish, since unwed parents usually marry. These exaggerated plotlines lend dramatic tension to what are essentially G-rated romances, often marketed with the word “wholesome.” Last year, an ABC news article compared bonnet fiction to Victorian novels, in that just a brief moment of holding hands can mean ecstasy or unleash a flood of inner turmoil. The popularity of Amish romance writing among women corresponds with the reader-response research described by Janet Radway in her book, Reading the Romance: Women, Patriarchy and Popular Literature. Radway conducted interviews in a midwestern town with readers of Harlequin romances. She found that these women read for escape, for education about places that are foreign to them, and for pleasure. Amish romance writers capitalize on these positive values associated with the Amish and with readers’ desire to visit Amish country, at least virtually, if not in actual fact. In a variety of ways, bonnet fiction writers seek to capitalize on Amish “tourism of the imagination” and on nostalgia for a simpler bygone way of life. Websites of Marta Perry and Lewis include Pennsylvania Dutch recipes, Woodsmall’s website hosts a quilt auction, and Suzanne Woods Fisher has a weekly radio program, Amish Wisdom. Not if Christian authors like Beth Wiseman, Kathleen Fuller, Barbara Cameron and Amy Clipston have anything to do about it. Their joint AmishHearts.com website notes that between the four of them they will release some 20 Amish romance novels within the next two years. Beth E. Graybill lives in Lancaster, Pa., and attends Community Mennonite Church there. She earned a Ph.D. in American studies from the University of Maryland in 2009. 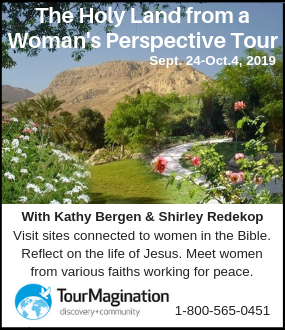 She was director of the Lancaster Mennonite Historical Society from 2005-10 and is the former chair of the historical committee of Mennonite Church U.S.A. 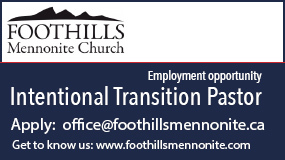 Originally published in a longer form by the Center for Mennonite Writing (www.mennonitewriting.org); the centre is sponsored by the Goshen (Ind.) College English Department. 1. How many bonnet fiction books are in your church library? Who enjoys this type of book? Do you agree with Beth Graybill that women read this type of fiction “for escape, for education about places that are foreign to them, and for pleasure”? How much Christian fiction should be in our church libraries? 2. Amish-based fiction seems to be a growing trend. What other types of fiction are fashionable now or have gone out of fashion? Why might bonnet fiction be more popular today than 20 years ago? If some women read Amish novels, what do other people choose for an easy read? 3. 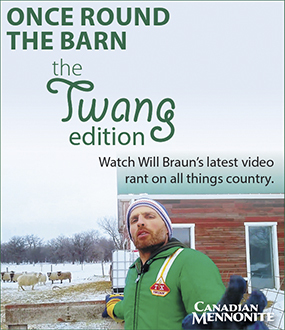 Graybill suggests that not all writers paint a realistic picture of the Amish way of life. Does it matter if the characters do not think or behave like typical Amish? How do you think the Amish view these books? 4. Some of the writers of bonnet fiction hope that they are fostering faith in their readers. How much influence do books have on our lives? Should we encourage each other to read only wholesome books? Is reading for escape a good use of time? I read Dr. Graybill's article with great interest, and I think she makes many valid points. However, I'm concerned over her inaccurate description of my book, Anna's Return. She says, "...the protagonist returns with a baby born out of wedlock during her rumspringe, which is almost unheard of..." In actual fact, even a cursory reading of the book would show the reader that Anna returns home with the baby born to her deceased friend, who was adopted by Anna before the birth mother died at the birth mother's request. It distresses me that the article's author clearly didn't bother to read the book before holding it up as an example of mistaken beliefs about the Amish. I'm sure I do make mistakes in my writing, since it's difficult to write authentically about a culture which is not my own, but my books are as thoroughly researched as possible, and a lifetime spent in rural Pennsylvania with many connections to the Plain People has given me an advantage in this area.